As a sponsor, you have guaranteed one-on-one time with executive decision makers. Our “1:1 Meeting/Case Study-Boardroom” approach creates results at a fraction of the cost compared to attending a large industry trade event or traditional conference. Pre-scheduled 1:1 meetings with attending senior security executives are the ideal way to drive sales and solidify partnerships. Sponsors schedule meetings beginning 3-4 weeks before the event through our online scheduling system, as well as on site. Private Case Study Presentations with 8-10 executives in a boardroom setting; perfect for candid conversation and end user feedback. Additional networking opportunities including: receptions, breakfasts and luncheons, golf, casino night and awards night where attending executives vote on the best vendor products and presentations. Keynote presentations and panels: in-depth presentations and panels featuring vendor executives on solutions, trends, tools, techniques and procedures. 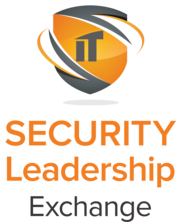 Security Leadership Exchange is an exclusive forum where buyers and sellers can come together at an intimate event facilitated by experts to share their experiences, needs, products and services. Security Leadership Exchange is held in a first class venue with comfort and great food creating an ideal environment for networking and relationship building. We offer multiple sponsorship levels and work closely with sponsors to make sure you receive the maximum ROI. This high-end program builds in scheduled 1:1 time and interaction between attending executives and sponsor representatives. Security Leadership Exchange is unique and stands alone in its ability to deliver this level of quality meeting time among current and future business partners. The attendees that come to our events are targeted. We recruit them and qualify them. We don’t use traditional event marketing practices that deliver unknown results in terms of types of attendees. We bring in high-level decision makers, not an abundance of unqualified attendees. All vetted executives receive a full participation package that includes travel, hotel accommodations, meals and registration costs. This ensures a cost-effective and quality peer-to-peer experience for attendees - and a 100% qualified audience for participating sponsors. In consideration for their hosted package, all end user attendees are bound to sign an agreement that stipulates their full participation in meetings and events. When a sponsor comes to Security Leadership Exchange they don’t have to “hope” that they have meaningful meetings. Sponsors’ 1:1 and group boardroom meetings are pre-scheduled so they know exactly what they are getting and how to prepare. If you are interested in learning more about sponsoring Security Leadership Exchange, please click the Inquiry button below, or reach out to Trish Vatis, MISTI Business Development Director at tvatis@misti.com or 203-858-6267.